Bittner amplifiers exceed the highest expectations in perfect sound and performance. No matter what’s the application. 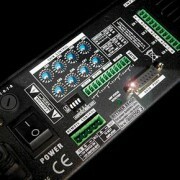 Sequential power up, DSP fitted with an optional processing card: max performance – no compromise.